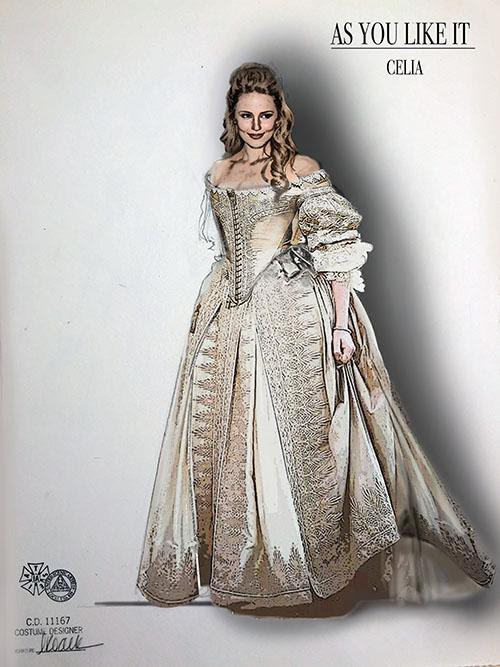 Preliminary costume design for As You Like It by Lauren Roark. Excitement and anticipation filled the room as theatre professionals from across the country met in Cedar City on January 4-9 for design meetings, kicking the 2017 season into high gear. To help you begin to see what the plays this summer may look like, we have put together a slideshow of costume and set designs. Click through, and you can start to see a bit of the excitement and beauty that will be on our stages in a few short months. 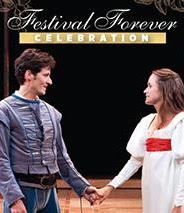 Christian Barillas as Romeo and Magan Wiles as Juliet in Romeo and Juliet, 2011, have become a symbol of the 2017 Gala. At its annual gala in Salt Lake City, the Utah Shakespeare Festival will celebrate the people, foundations, and corporations which have helped make its dreams a reality. The Festival is honoring the Ashton Family Foundation, Rocky Mountain Power, and Roy and Elizabeth "Tibby" Simmons, as well as retiring Executive Director R. Scott Phillips. 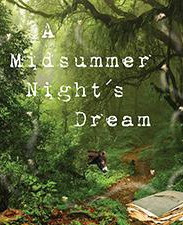 The poster for this year's educational tour of A Midsummer Night's Dream. The Utah Shakespeare Festival is once again hitting the road with its Shakespeare-in-the-Schools touring production--this year performing the magical story of A Midsummer Night's Dream. The tour will be performing 65 shows for over 120 schools and 25,000 students throughout the states of Arizona, Colorado, Idaho, Nevada, Utah, and Wyoming.